Samsung has listed the Galaxy J7 Prime 2 on its official site which comes in Gold and Black color options and is priced at Rs.13,990. 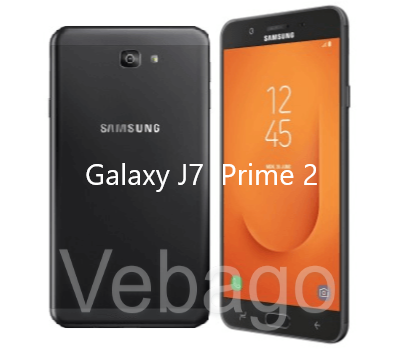 The Galaxy J7 Prime 2 smartphone is the successor of the Galaxy J7 Prime which was launched in 2016. The device comes with a 13MP rear camera with f/1.9 aperture, LED flash captures beautiful images, and a 13MP selfie shooter camera with f/1.9 aperture helps to take video calls and selfies. The Dual SIM (nano + nano) smartphone runs on Android 7.1.1 (Nougat) OS and is powered by a 3300mAh battery. The Samsung Galaxy J7 Prime 2 comes with a 5.5-inch Full HD TFT display with a 1920 x 1080 pixels resolution and a 2.5D Corning Gorilla Glass protection. It also has Samsung Mall app and has a Samsung Pay Mini that lets you transfer money. The device has a Fingerprint sensor and it measures 151.7 x 75.0 x 8.0mm and Weighs 170g. The Galaxy J7 Prime 2 is equipped with a 1.6GHz Octa-Core Exynos 7870 processor. The smartphone sports a 3GB of RAM which helps you in multitasking and a 32GB of internal storage memory which can be expandable up to 256GB using a microSD card. Connectivity options on the smartphone include 4G VoLTE, Wi-Fi 802.11 b/g/n, USB 2.0, 3.5mm Stereo, Bluetooth v4.1, and GPS.